The joy of cooking: is it merely the experience we undertake in the physical world or the mystical timeless journey of storytelling? Using grandma’s old cookie recipe or a great-aunt’s cookbook can link us to generations past, enrobing us in memories past and present. Recipes and cookbooks allow food and dishes to traverse realms to be remade and enjoyed by future chefs. 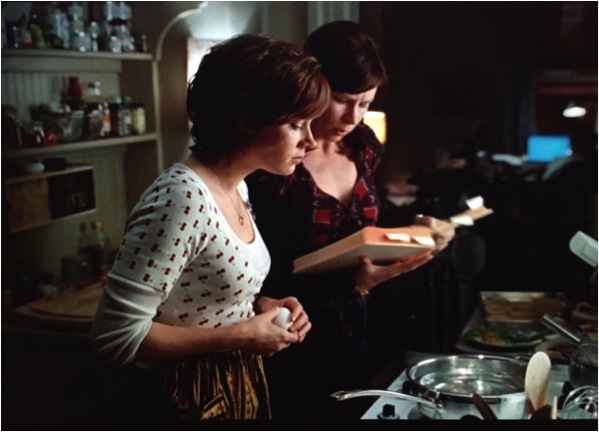 While each individual feast is fixed in time, it can escape the bounds of time through cooking, a paradox that is explored in Julie & Julia. Nora Ephron, the director, guides the audience through parallel stories of the culinary legend Julia Child and New York blogger Julie Powell, intertwining the stories in a road of self-discovery. Julie Powell, in an attempt to take direction in her life, decides to cook through Julia Child’s Mastering the Art of French Cooking in 365 days. Throughout this journey, food guides Julie through a relationship with Julia in which she is seen having conversations with a nonexistent Julia. The meals she creates also serves as a paradox: food itself is a slave to time, yet it transcends time through its recreation. The recipes and dishes unite Julie and Julia together in a relationship, despite the fifty-year time gap. As Julie concocts her blog idea, she begins to describe Julia as being “a great, big, good fairy” to a childhood memory, seeding the kinship that appears throughout the film. While cooking beef bourguignon or chicken in a cream mushroom sauce, Julie is seen talking to her “fairy,” mumbling for confidence from Julia. By cooking the recipes in Julia Child’s cookbook, Julie strengthens her kinship to Julia, albeit a one-sided kinship. Through the food Julie makes, a connection is formed that goes beyond the realm of time. Food lives within the present; it is confined to the rules of time yet the relationship it creates is timeless. While eating her first egg, Julie remarks that she fantasizes that Julia comes for dinner and talk about lemon zesters, but Julie is also aware of the fact that she is in this journey alone. Through the stories behind Julia’s recipes, her food creates a mystical connection that brings the two chefs together in Julie’s mind. As Julie treks through the cookbook, Julie responds to the recipes as if engaging in a conversation. The audience can’t help but smile as Julie struggles through lobster thermidor, talking to Julia’s cookbook as if they are old pals. Julie remarks how easy Julia makes killing a live lobster sound and time and time again it is seen how each recipe becomes an embodiment of Julia. Each recipe contains the heart, sweat, and soul of Julia, which is appreciated and received by Julie. Julie humanizes the stories behind the recipes that bring the food to life. Platters are messengers, allowing food to speak without binds of time. Julia’s food opens a conversation to those who create it again, as felt by Julie who mentions that “as I cook it, I almost feel as if Julia and I are communicating over space and time on a deep spiritual, mystical level.” By having these conversations with Julia, Julie gains perspective on herself and realizes her own shortcomings. The beautiful paradox that food presents allows generations to merge and time to blur as we enjoy the food and one another. A specific meal can only be enjoyed once, but the stories and experiences embedded in each dish can transcend the past and bridge to the present. Julie & Julia. Dir. Nora Ephron. Perf. Amy Adams, Meryl Streep, Chris Messina, Stanley Tucci. Columbia Pictures, 2009. DVD.